My decision to move to Cape Town was not taken lightly and definitely not without its challenges, but when I look back now the only regret, if you can call it one, was not moving earlier. After almost 5 years living in Cape Town, I am still in awe. The beauty of this place can’t be put into words or really reflected in pictures. I am reminded every now and then of just how lucky and blessed I am, living in one of the most scenic cities in the world. The reminder sneaks up on me in different ways, one of these moments is the daily sunsets… they are just breathtaking! My list below is by no means comprehensive but it’s a place to start. So go out and discover. Yes, yes I know this one is on every list you have ever read about Cape Town, but it is to Cape Town as the Eiffel tower is to Paris. #justsaying. So no more motivation needed. Table Mountain can be explored in different ways. You can go the tourist way as I like to call it, of paying for a ticket to the top, or hike up using one of the routes. There is also the alternative, the “budget” option. If you don’t have a lot of time to explore Table Mountain or after all the other activities you have very little money to spare, this one is for you. Take the free MyCiti bus ride to the Lower cable station from the Lower Tafelberg Road stop, just off Kloof road. The shuttle service runs from when the cableway opens until 7 pm. Then instead of taking the cable car up, walk along Tafelberg road. This road runs along the mountain and provides breathtaking views. This is just a glimpse of what the mountain offers, so come back when you have more time and opt-in for option 1. I may be a bit biased towards this beach as I call it home, but you won’t be disappointed. 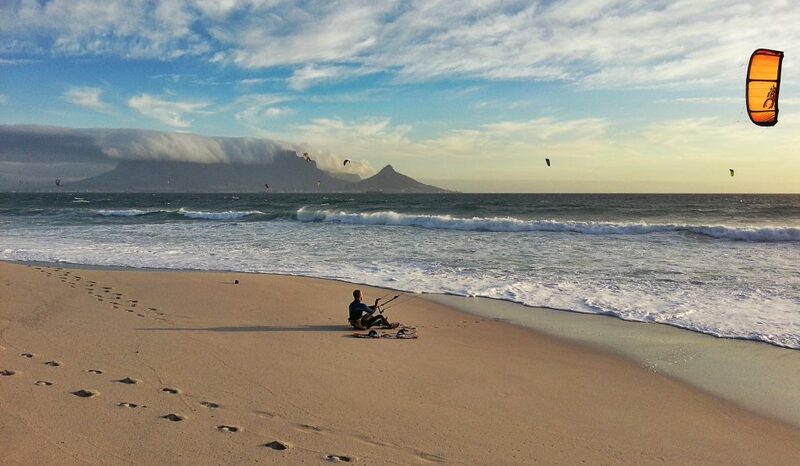 Bloubergstrand is where the iconic pictures of Table Mountain originate. The sunsets are definitely something to look out for so try and stay until then. On windy days, which on this beach is almost all the time, the windsurfers display their talents. This is a photographers dream. When you visit Bloubergstrand make it a day trip. During sunset you can join the locals at the famous Blue Peter Hotel for sundowners and a pizza, or for a fancier dinner try out On the Rocks. My favorite spot is Ons Huisie. It’s a restaurant on the beach front where you can indulge in more traditional South African cuisine. The restaurant has a special ambience as it is set in an old house with a rich history. The West Coast National Park is approx. 80 km from Cape Town. 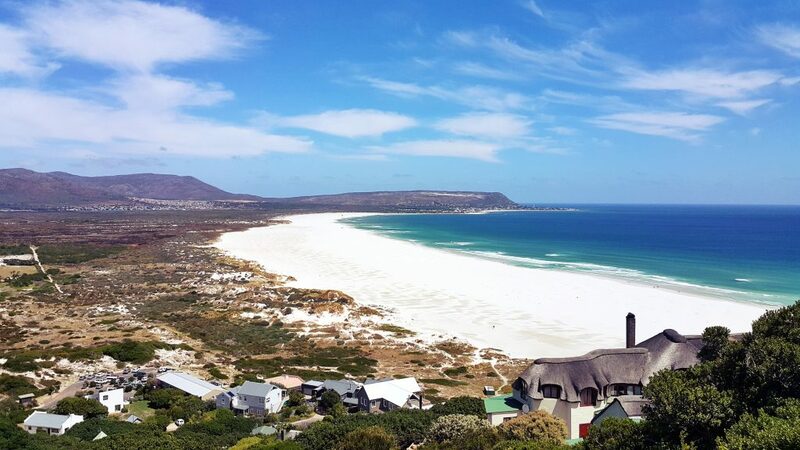 The park can be accessed from Langebaan or from the R 27 about 25 km before Langebaan travelling from Cape Town. The entry fee to the park changes depending on the season. Postberg, a part of the park is open only in flower season and is the best spot to photography the daisies and other flowers. In the other seasons there are still lots to do. 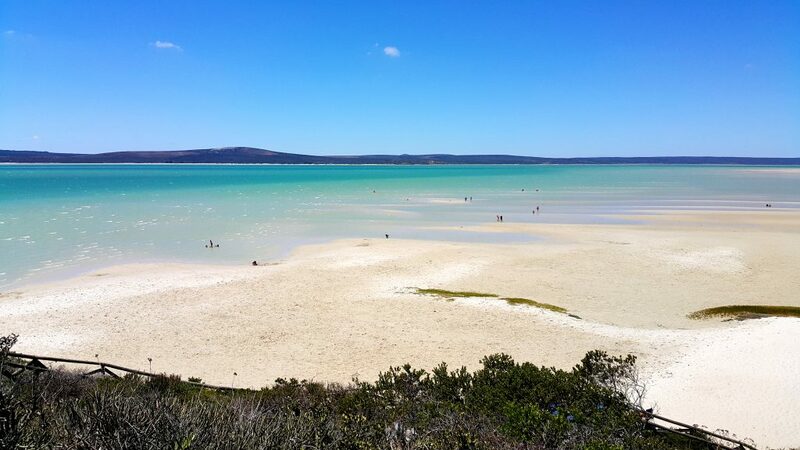 The park is set around Langebaan a picture-perfect lagoon, that will remind you of Mauritius. Activities include swimming, cycling, hiking and birdwatching. There is accommodation in the park as well in the nearby town of Langebaan. Pack a picnic basket or bring your braai gear and make a day of it. Perfect for that family outing that is long overdue. Cape Point is a very popular park and is one of the main tourist spots in Cape Town. The drive is an experience in itself. Take the route from Muizenberg towards Kommetjie. On your way stop at St James or Muizenberg for a quick photo at the colorful beach houses. In Kalk bay stop at Olympia Café and buy a coffee and maybe something sweet. Continue on the route pass Simon’s Town where there are various lookout points. The best one is at Smitswinkel bay. The entrance to the park is just around the corner of the Smitswinkel bay turn. Don’t be put off by the long line at the entrance, it’s worth it. At the entrance you will get a map indicating all the important spots in the park. If it’s your first time at Cape Point, the lighthouses are a must. One of the other stops is the most south-western point of the African Continent. Be aware of the baboons and lately the ostriches. I will leave the rest of the exploring to you. Watch this funny video on the ostriches in Cape Point. This wine estate is unique in that it’s not only wine that is important to them. On the estate there are no less than 17 gardens to explore and wander through. 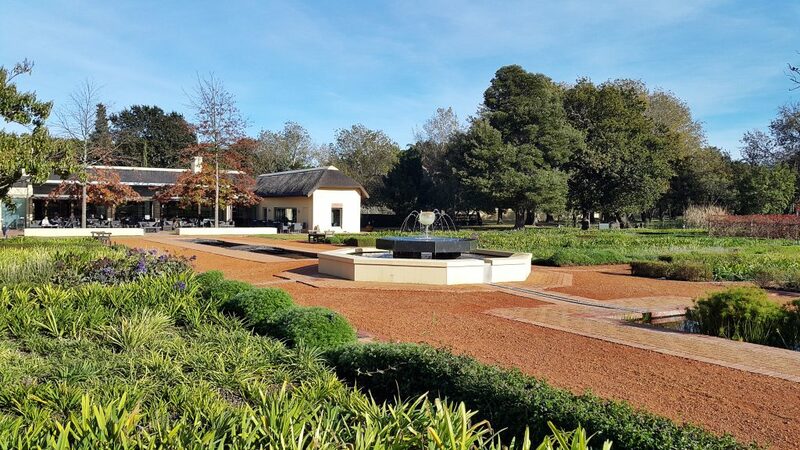 The gardens range from a new Herb Garden to the Yellowwood Walk which is host to the star, an old yellow wood tree planted around 1700. The estate has 2 restaurants the Camphors and the Stables. Camphors at Vergelegen is as fine dining restaurant that carefully pairs Vergelegen wines with their signature dishes. Stables at Vergelegen is perfect for that family birthday party or a breakfast with your besties. Another option is to order a picnic basket and enjoy the scenery. Unfortunately, you can’t bring your own. Vergelegen offers not only wine tastings but also a wine tour to their state-of-the-art winery. Other activities include important artworks displayed in the Homestead, Library and surrounding buildings and informative displays at the exhibition corridor in the Homestead. Be sure to bring a fully charged phone or camera because the photo opportunities are endless. This road is one of those included in your favorite Top Gear episode. Not only for its twists and turns but also for the views. There is multiple look out points on this road. When you are on your adventure from Cape Point mentioned above this will be on your way back to Cape Town. The perfect place for that group photo you can take home and show everyone. The road is sometimes closed due to rock falls or maintenance. The sign at the start of the pass will indicate if its open, or you can click here. Please note this is a toll road. The place of magical concerts, picnics on the green grass or the day out enjoying the fynbos indigenous to South Africa. 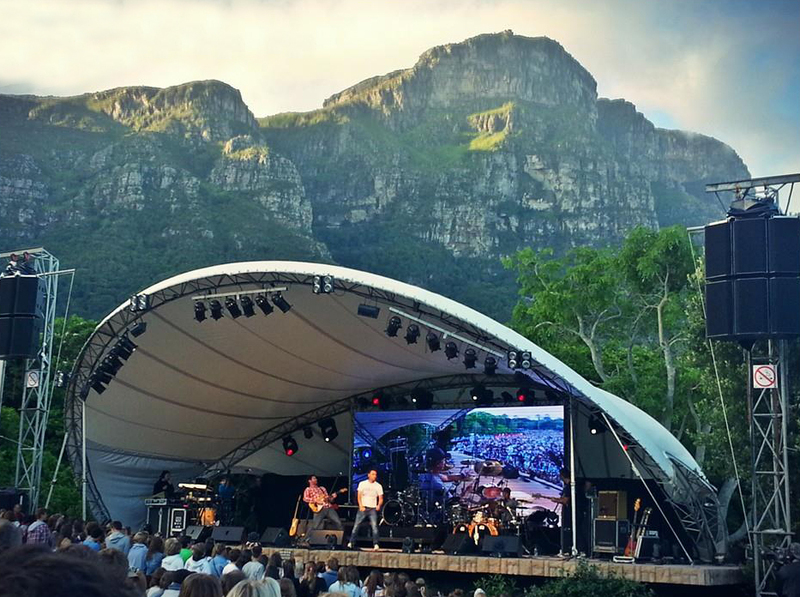 In the summer months Kirstenbosch hosts a concert very Sunday afternoon. 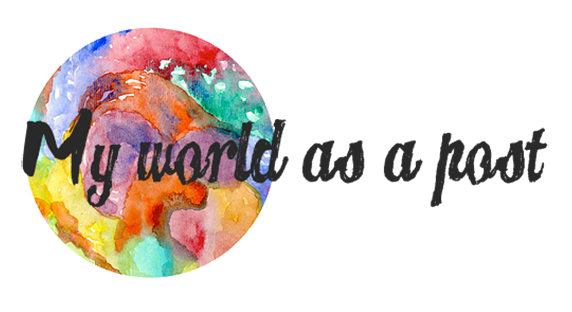 The line-up usually consists of top local talent, but once in a while we get to see same international bands and artists. Previous concerts include Bastille, Of Monsters and Men, The Lumineers and Passenger. Also on the menu for the summer months is the Galileo Open Air Cinema. Some of the greatest movies are showcased on Wednesday nights in the gardens, giving your favorite movie an extra twist. During my visit I watched Forest Gump and had chips with the Guinea fowl. The gardens have recently added a new addition to their family. The “Boomslang” (meaning tree snake) this is a walkway build between the tree tops 12m above the ground and is 130m long. But if you just want to chill and take in the scenery, a picnic in the gardens is the way to go. Close to my heart and on a road less travelled. 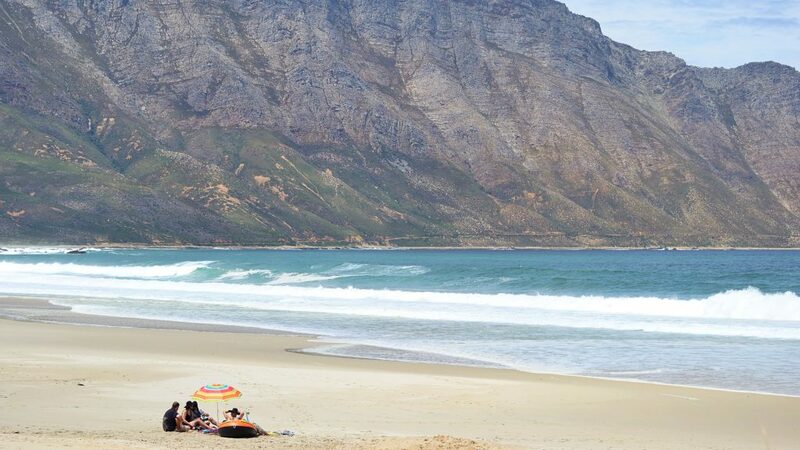 Kogel bay is located on Route 44 between Gordon’s Bay and Hermanus. If you are here for Whale season starting late August, then Route 44 is the road to drive. Various look out points are available made specially for the spotting of Whales. A few km before Rooi-Els you are greeted with the best view on the route. The view of Kogel bay! 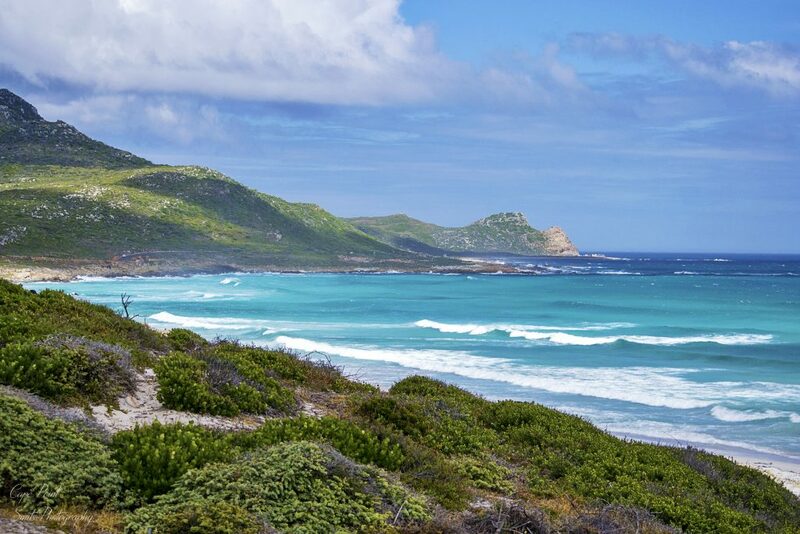 The bay has a long white beach with turquois sea water rolling in and the mountains covered in fynbos coloring in the background. Kogel bay has a campsite run by the City of Cape Town. Some camping spots don’t have cover at all and is almost on the beach, where others are protected by small trees from the wind. This is one of my favorite camping spots, but nature can turn on you. This campsite comes with a big warning!! Check the wind speeds before coming to Kogel bay. I was camping in Kogel bay with my aunt and uncle not to long ago and we have a big struggle to keep the tent remotely up or even on the ground. The gusts of wind can be up to 100km/h, not the recommended wind speed for pitching a tent. • The wind can spoil your stay. • Can be noisy on busy weekends. All of these spots have a lot more to offer. So go and explore them for yourself. I’m sure this post will have follow up posts as I myself go and explore the great unknown. 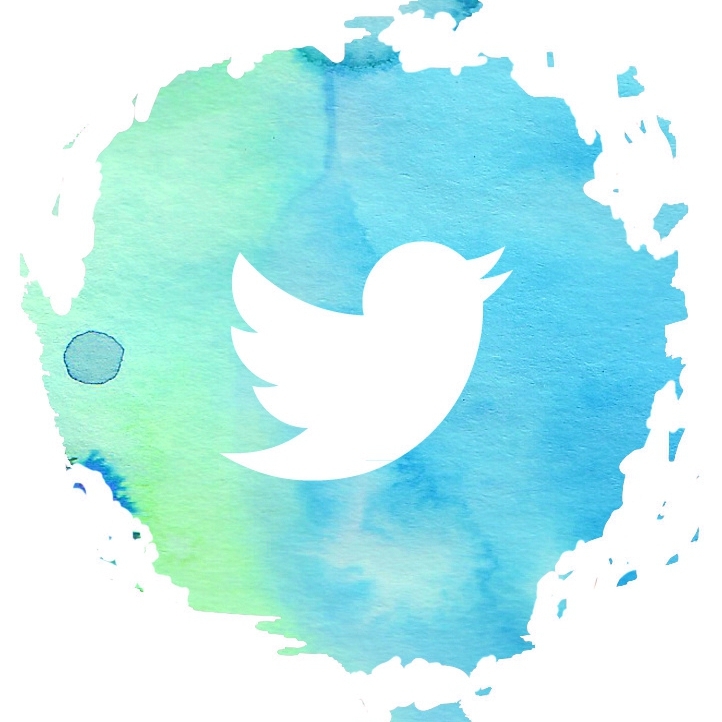 If you have any questions or just want to connect contact me.